1469 - Elia Levita (Hebrew: אליהו בן אשר הלוי אשכנזי) also known as Elijah Levita, Elias Levita, Élie Lévita, and Eliahu Bakhur ("Eliahu the Bachelor"), a Bavarian-born Hebrew grammarian, scholar, and poet, best known as the author of the Bovo-Bukh, the most popular chivalric romance written in Yiddish. 1769 - Ivan Andreyevich Krylov (Russian: Ива́н Андре́евич Крыло́в), Russia's best known fabulist, who wrote fables loosely based on Aesop's and La Fontaine's, but was also known for his original work, often satirizing the incompetent bureaucracy. 1879 - Sarojini Naidu (née Chattopadhyaya), known as The Nightingale of India (Bharatiya Kokila); she was a child prodigy, Indian independence activist, and poet, who was the second Indian woman to become the President of the Indian National Congress and the first woman to become the Governor of Uttar Pradesh state. 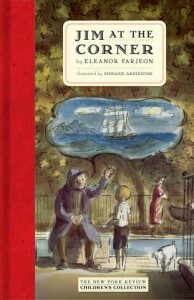 1881 - Eleanor Farjeon, English author of children's stories and plays, poetry, biography, history, and satire; ,any of her works had charming illustrations by Edward Ardizzone. 1891 - Kate Roberts, one of the foremost Welsh-language authors of the twentieth century, she is known mainly for her short stories, but also wrote novels. 1903 - Georges Simenon, Belgian author best known as the creator of the fictional detective Jules Maigret. 1911 - Faiz Ahmad Faiz, Punjabi-born Nobel Prize-nominated Pakistani leftist poet and author; one of the most celebrated writers of the Urdu language. 1932 - Simms Taback, Caldecott Medal-winning American writer and illustrator of children's books. 1945 - Simon Schama, British historian and author, best known for his multi-volume History of Britain. 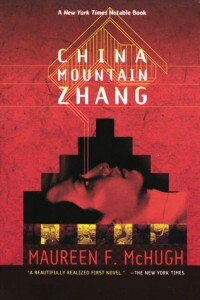 1945 - William Sleator, American science-fiction author who wrote primarily for a young-adult audience. 1957 - Denise Austin, American fitness instructor and prolific author of fitness books. 1958 - Lenard Duane Moore, American poet, essayist, playwright, and literary critic. 1959 - Maureen F. McHugh, American author of science-fiction and fantasy novels and short stories. 1961 - Henry Rollins, American spoken word artist, writer, journalist, publisher, actor, radio DJ, activist, and former singer-songwriter. 1980 - Mark Watson, British comedian and author.